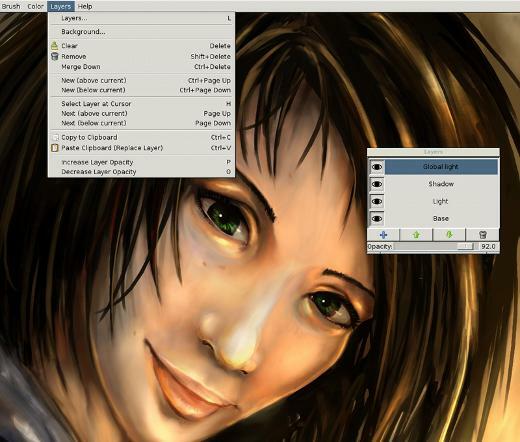 Krita is a KDE based program for digital painting and sketching. Currently, it’s available for GNU/Linux and Windows platforms. It’s a full featured digital painting program for artists. 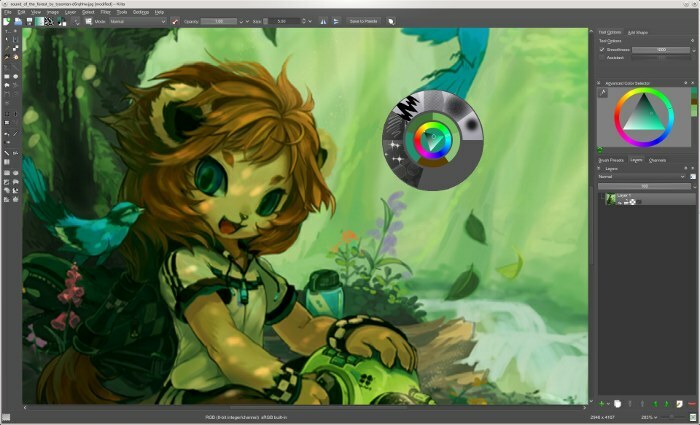 Krita is popular among comic book artists, illustrators, concept artists, texture painter and so. One of the great feature is that – it supports colorspaces other than RGB, such as CMYK. It also supports HDR Painting and a perspective grid. If you’re looking for some tutorials or guides to get started, I would recommend watching this video on youtube and reading docs here. GNU/Linux distributions such as Ubuntu, Linux Mint etc are becoming most popular among desktop users (even the non-technical users prefer Ubuntu or windows), the user base is growing very fast. When it comes to digital and graphics applications, Ubuntu lacks few cool apps mostly from Adobe (e.g Photoshop, Illustrator etc) but there are good alternatives such as GIMP, Blender, Inkscape, MyPaint etc. MyPaint is a simple and easy to use application, for digital painters. It comes with a large collection of brushes and most importantly – it works well with wacom graphics tablet (and it’s also pressure sensitive) – which is the largest manufacturer of pen displays devices – graphics tablets. Note : Although, you can also use MyPaint from older version of Ubuntu but you are recommended to install (upgrade) 12.04 as it’s the latest stable release (and it’s a Long Term Support release) from Canonical. Unity, the default user interface in 12.04, has also improved a lot – and it looks very promising for new users.